In Kansas, late-term abortionist George Tiller was murdered in church today. I am strongly pro-life. Abortion is evil, and I would be in favor of banning it in almost all cases. I view acts of violence against abortionists as evil as well. It is also evil that Tiller’s denomination, the Evangelical Lutheran Church in America (ELCA), tolerates, or in some cases even advocates, the right to abortion. 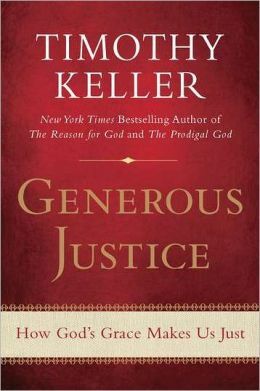 I grew up in the ELCA, and it grieves me to see it seriously compromising on a number of moral and theological issues. If we Christians really wanted to end abortion in this country, it would be accomplished in two years, after the next major election. It would be over, and it would have been done completely peacefully. But it seems we really don’t want it that badly. This is evil as well. God have mercy on us, for we have all sinned. P.S. From Stand to Reason Blog: Killing Abortionists is Wrong. Period. This is a brief statement of why violence against the abortion industry is wrong even given the depth of evil they are involved in. I condemn this murder, full stop. I think Tiller was an evil man. I really do. He was one of the few doctors who performed late-term abortions. He was an infanticide doctor, as far as I’m concerned. Nevertheless, his murder was wrong, wrong, wrong, in an of itself. And as a practical matter, it will do more harm to the cause of protecting unborn life than it will help. We already see that despite the plain fact that the overwhelming majority of pro-life activists are peaceful, and peace-loving, people, many on the other side demonize all pro-lifers as potential abortion-clinic murderers. Whoever committed this murder is not only guilty of a heinous crime and a moral outrage, but prudentially, he or she has also done tremendous harm to the noble cause of protecting unborn life. That said, I would hate to be George Tiller facing judgment with those grave sins to explain. Proponents of abortion rights often charge that the rhetoric of the pro-life movement leads to violence. After all, we describe abortion as murder and point to the business of abortion as the murder of the unborn. We make clear that abortion is the taking of innocent human life and that what goes on in abortion clinics is the business of death. We make these arguments because we know they are true. Abortion is murder. What goes on in those clinics is institutionalized homicide, often for financial profit. Abortion is a moral scandal and a national tragedy and a blight upon the American conscience. But violence in the name of protesting abortion is immoral, unjustified, and horribly harmful to the pro-life cause. Now, the premeditated murder of Dr. George Tiller in the foyer of his church is the headline scandal — not the abortions he performed and the cause he represented. We have no right to take the law into our own hands in an act of criminal violence. We are not given the right to take this power into our own hands, for God has granted this power to governing authorities. The horror of abortion cannot be rightly confronted, much less corrected, by means of violence and acts outside the law and lawful means of remedy. This is not merely a legal technicality — it is a vital test of the morality of the pro-life movement. So we have not only murder but sacrilege, the violation of a church at worship. A suspect has been captured. All we need is to be identified with terrorists. No, we will have to explain, we don’t believe in homicide. (We are against homicide, which is why we are against abortion. After the pro-life movement has made some significant progress, get ready for a pro-abortion backlash. This crime turned one of the worst perpetrators of mass infanticide into a presumed martyr for abortion “rights” just at a time when its supporters were slipping dramatically in public esteem. While Tiller’s killer has done away with a physician who by his own admission took the lives of 100 babies every week, this crime might result in an increase of abortions in months to come. Simple minds will now see abortionists as victims, und not the innocent human babies they slaughter, innocents like the 60,000 Tiller has slaughtered just before their births. This must be a depressing thought for all those faithful Christians who peacefully pray and fast outside the Planned Parenthood slaughterhouses. In the long run, they stood a good chance of being victorious in the war against the culture of death. Let it be known that Tiller’s killer has become a soldier on the side of death in this conflict. The United States is still a democracy. In a free society, the voters are their nation’s sovereigns. They are empowered to fight evil, such as abortion, in the polling booths. This is their divine calling. On the other hand, nobody has a calling to kill except at the orders of duly instituted authorities. It is government alone that in a civilized society may instruct soldiers or policemen to use their firearms. The United States is a nation of law. The law is a gift from God to protect us against anarchy and subsequent chaos, a state that prevailed before God created the universe. Tiller’s killer has committed an act of anarchy and therefore not only violated the Fifth Commandment but also rebelled against the divine order of creation. Those who secretly cheer his dastardly act must be made aware that they are participating in a despicable revolt against the creator. “When I get a little money I buy books; and if any is left I buy food and clothes.” — Erasmus (Roman Catholic theologian of the Reformation era). 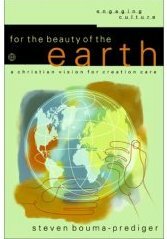 A Biblical Case for an Old Earth, by David Snoke. The best chapter in the book was the one on animal death before the fall. Overall, I would give the book four stars out of five. 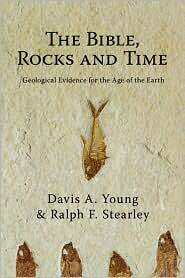 Snoke is a physicist, and his statements regarding geology (which was not central to the book) could have used some refining. Ringworld, science fiction novel by Larry Niven. Physical and Chemical Hydrogeology, by Domenico and Schwartz, and Elements of Petroleum Geology by Selley. Just for fun. Plus I’m looking for a job, and this stuff is fascinating. 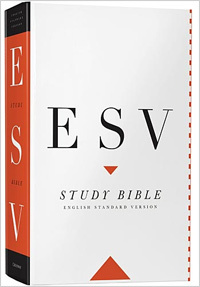 ESV Study Bible. I don’t ordinarily list my Bible reading in my monthly reading update, but I got this Bible with my birthday money. 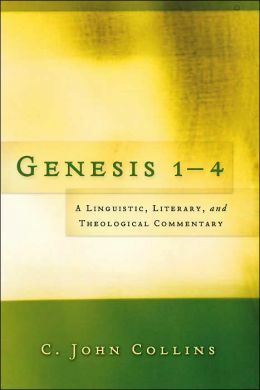 This is certainly the best study Bible on the market, and perhaps the heftiest as well. It has 2752 pages, contains over two million words (Bible text, 20,000 notes, 50 articles), and weighs 4.2 pounds (1.9 kg). I have been thoroughly blessed through the insights of the notes (I am currently reading in Isaiah, Mark, and 2 Corinthians). Thanks to Matt for the Erasmus quote. 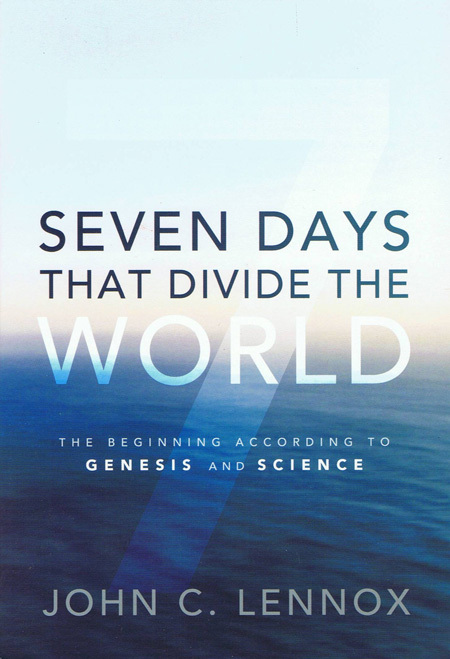 How have you resolved the tensions in your own life and thinking between science and your faith? What has been your journey? What was particularly significant in that journey? There are a lot of testimonies from believers who had to wrestle through some science-faith issues, and came out the other side with their faith intact. Subtitle: Superstar atheists are motivated by anger — and boohoo victimhood. I can’t stand atheists — but it’s not because they don’t believe in God. It’s because they’re crashing bores. Other people, most recently the British cultural critic Terry Eagleton in his new book, “Faith, Reason, and Revolution,” take to task such superstar nonbelievers as Oxford biologist Richard Dawkins (“The God Delusion”) and political journalist Christopher Hitchens (“God Is Not Great”) for indulging in a philosophically primitive opposition of faith and reason that assumes that if science can’t prove something, it doesn’t exist. Maybe atheists wouldn’t be so unpopular if they stopped beating the drum until the hide splits on their second-favorite topic: How stupid people are who believe in God. This is a favorite Dawkins theme. In a recent interview with Trina Hoaks, the atheist blogger for the Examiner.com website, Dawkins described religious believers as follows: “They feel uneducated, which they are; often rather stupid, which they are; inferior, which they are; and paranoid about pointy-headed intellectuals from the East Coast looking down on them, which, with some justification, they do.” Thanks, Richard! 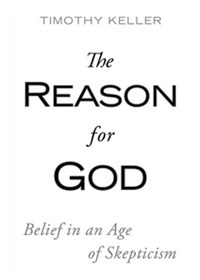 The problem with atheists — and what makes them such excruciating snoozes — is that few of them are interested in making serious metaphysical or epistemological arguments against God’s existence, or in taking on the serious arguments that theologians have made attempting to reconcile, say, God’s omniscience with free will or God’s goodness with human suffering. Atheists seem to assume that the whole idea of God is a ridiculous absurdity, the “flying spaghetti monster” of atheists’ typically lame jokes. They think that lobbing a few Gaza-style rockets accusing God of failing to create a world more to their liking (“If there’s a God, why aren’t I rich?” “If there’s a God, why didn’t he give me two heads so I could sleep with one head while I get some work done with the other?”) will suffice to knock down the entire edifice of belief. What primarily seems to motivate atheists isn’t rationalism but anger — anger that the world isn’t perfect, that someone forced them to go to church as children, that the Bible contains apparent contradictions, that human beings can be hypocrites and commit crimes in the name of faith. The vitriol is extraordinary. Hitchens thinks that “religion spoils everything.” Dawkins contends that raising one’s offspring in one’s religion constitutes child abuse. Harris argues that it “may be ethical to kill people” on the basis of their beliefs. Yellowstone National Park geologist Hank Heasler was lecturing a group of colleagues in Biscuit Basin on the rarity of hydrothermal explosions last week when Boom! A hot pool behind him exploded, spewing mud, rocks and hot water 50 feet in the air. Geologists know of only a handful of such unpredictable explosions in Yellowstone’s recorded history. NASA’s Astrobiology Magazine has the text of a presentation given by physicist Paul Davies: A One-way Ticket to Mars. The greatest expense in sending a group of astronauts to Mars is actually getting them back to Earth. Davies estimates that we may be able to save up to 80% of the costs by sending a group of four astronauts to Mars and then just leaving them there. At first, this might sound crazy, but how different is it than when my great-grandparents left Norway for the United States, never to see their families again? Granted, Minnesota had oxygen and farmland (but my grandparents eventually ended up in Ekalaka, Montana, which may not have been all that different than ending up on Mars). The astronauts would end up staying on Mars as the first members of a colony, with the hope that more astronauts would arrive every few years. “As Bob Zubrin [founder of the Mars Society] has pointed out, Mars is the second-safest place in the solar system. And so it’s the one place humans can go where we could actually make a living, because it’s possible to use material on the martian surface, and crucially, Mars has water and carbon dioxide. So you’re not saying to the people who are going on this one-way mission: you’ve got three days’ supplies and that’s it. You could also protect yourself from some of the worlds hazards, such as the hazard of thin atmosphere.